We have uploaded three 360-degree videos shot using seven GoPro cameras and MewPros. Note 1. Please watch these clips in 4K settings and use the navigation wheel at the top left corner. Currently 4K 360-degree viewing is possible in Chrome, Edge or Firefox. Note 2. If you are viewing them on an iOS device please install and launch the YouTube app. Then move the smartphone/tablet around to get its display revealing the scene. Videos by seven GoPro Hero 4 Black + MewPro 2 with Bastet in 4K 30fps, Wide. These footages were taken using our original “Mani Wheel” rig with a modification to accommodate an additional camera pointing the zenith. 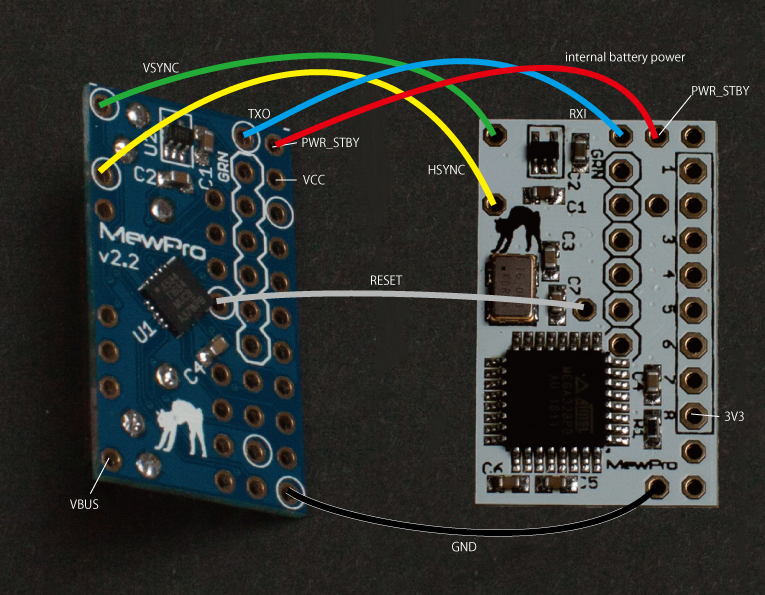 The way to update MewPro Bastet’s firmware is shown in this post. 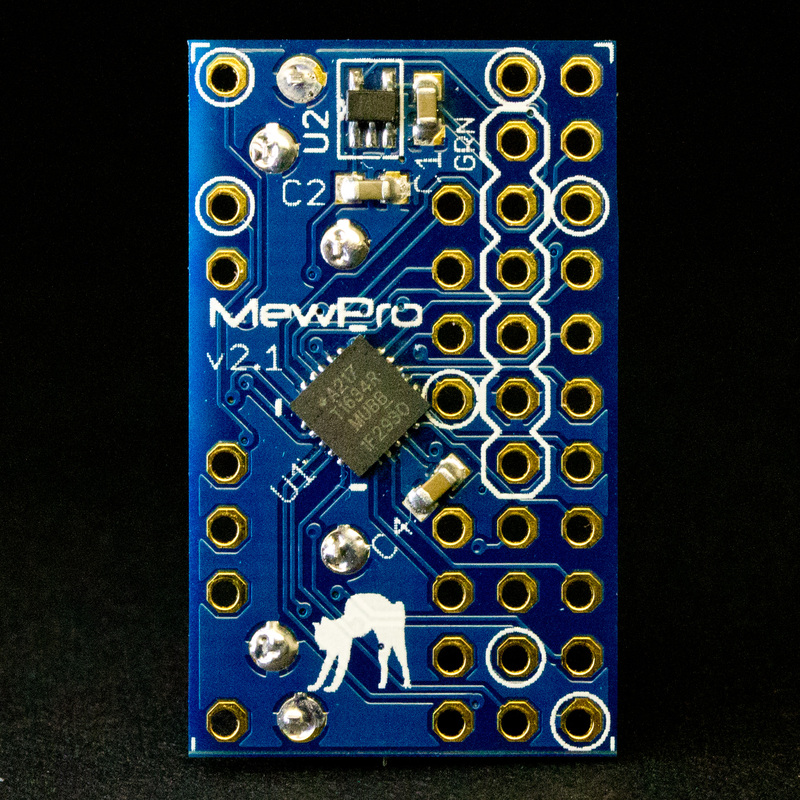 We designed MewPro Bastet to be easily updated in the same way as the MewPro 2 board: To do so should require only the following. 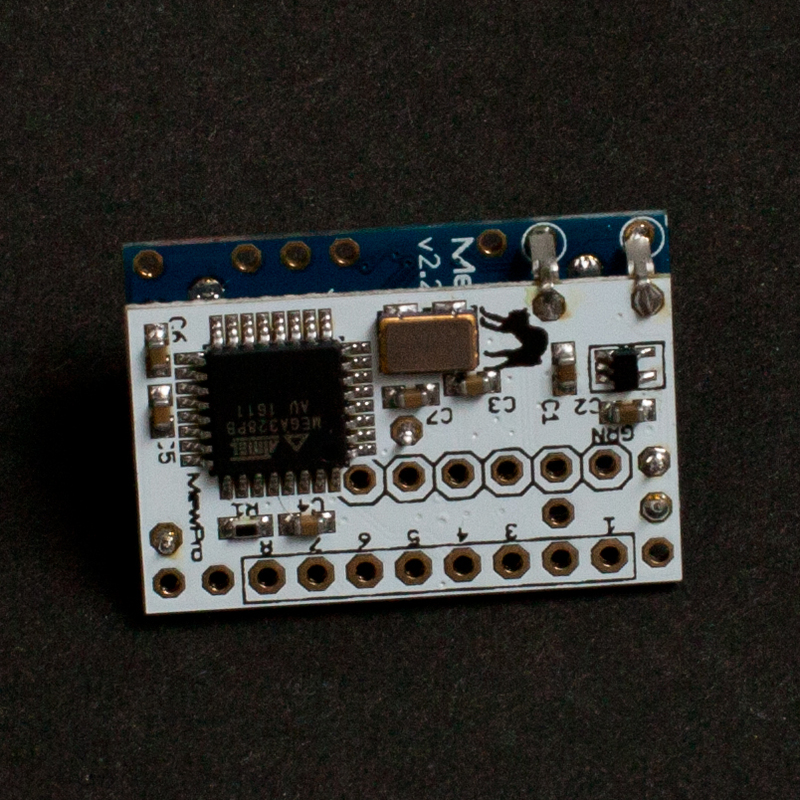 However, since the current Arduino IDE doesn’t have supported Bastet’s microcontroller ATmega328PB yet, a rather complicated preparation is required. The detailed instruction is here. Once the IDE is ready in your PC then the actual updating can be done in the same way as what you usually do with your MewPro 2 boards. 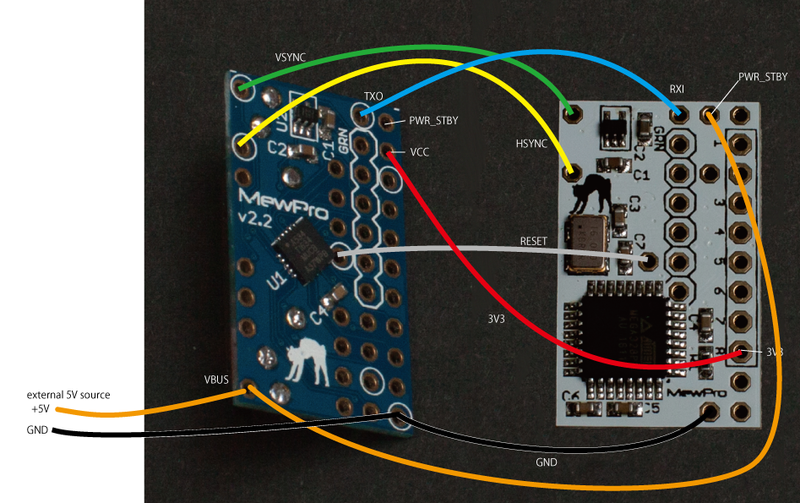 In this post we explain how to connect wires to MewPro Bastet. 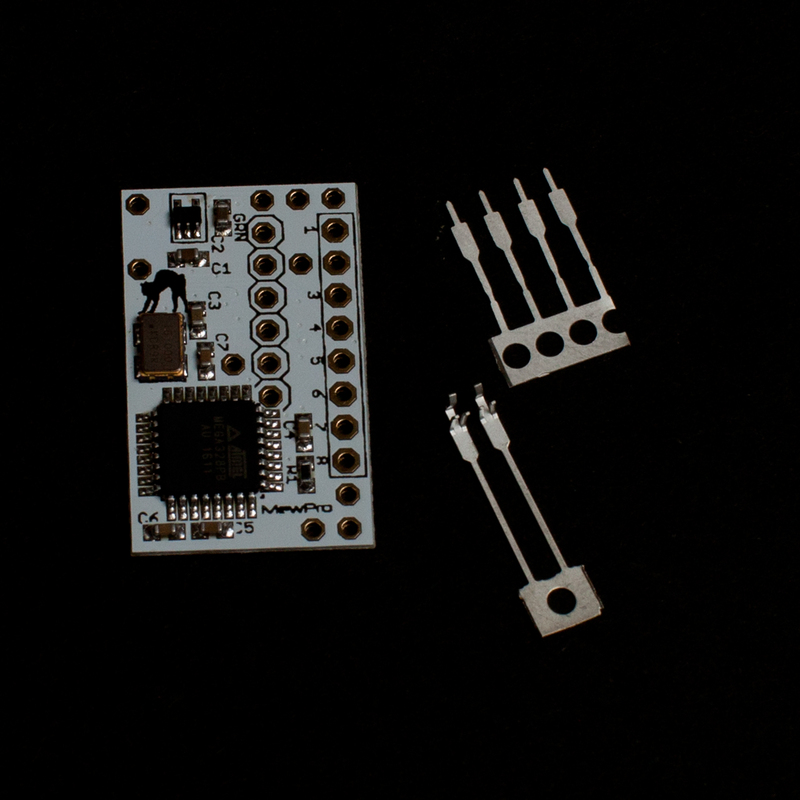 The following picture shows the pinout of Bastet. 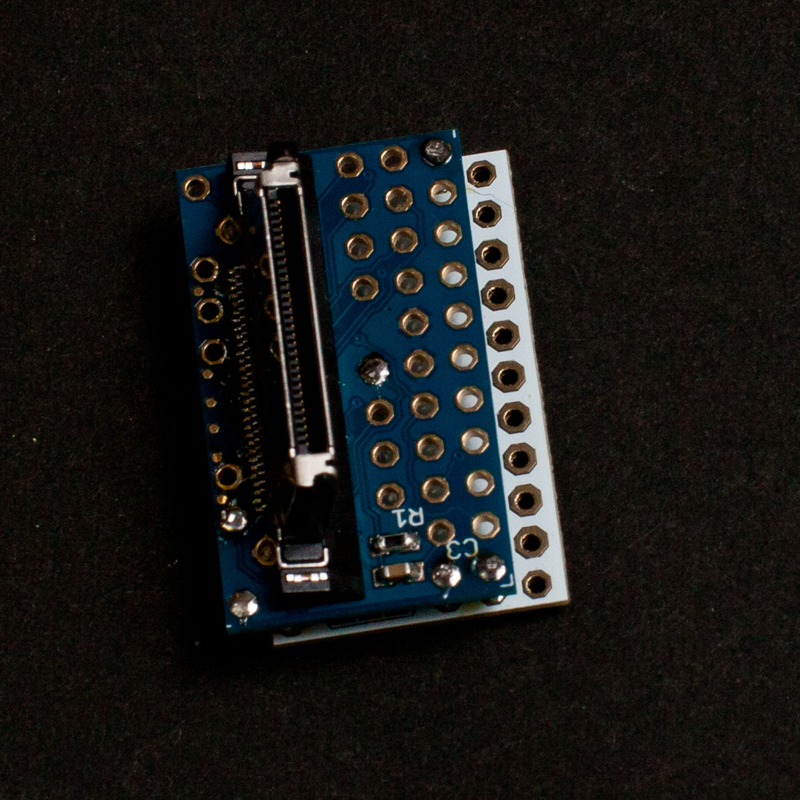 There are pins for master, slave(s), and programming (FTDI Breakout Board) denoted by color brown or red, green, and blue, respectively. 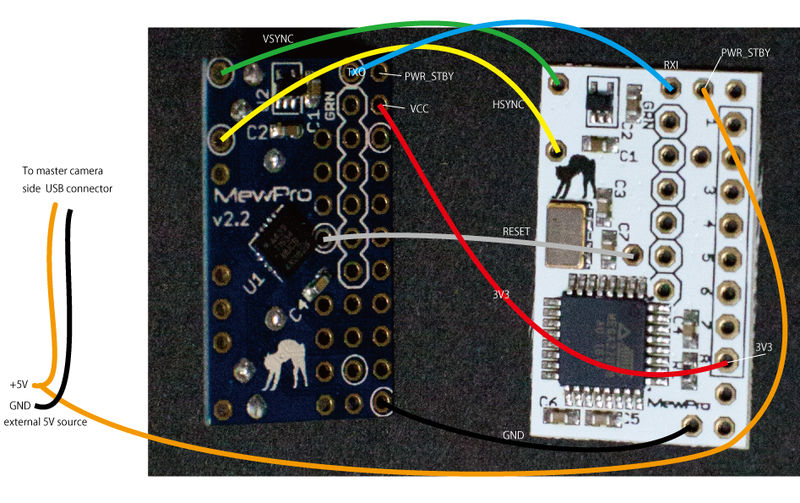 The MewPro 2 board (MewPro #0 in this diagram) attached to the master camera (GoPro #0) must have MewPro 4 master firmware installed. respectively, before compiling and uploading to the board. Note1: Slave MewPro 2’s should have the default firmware without any modification to the MewPro4 source code. Master camera is powered by internal battery. 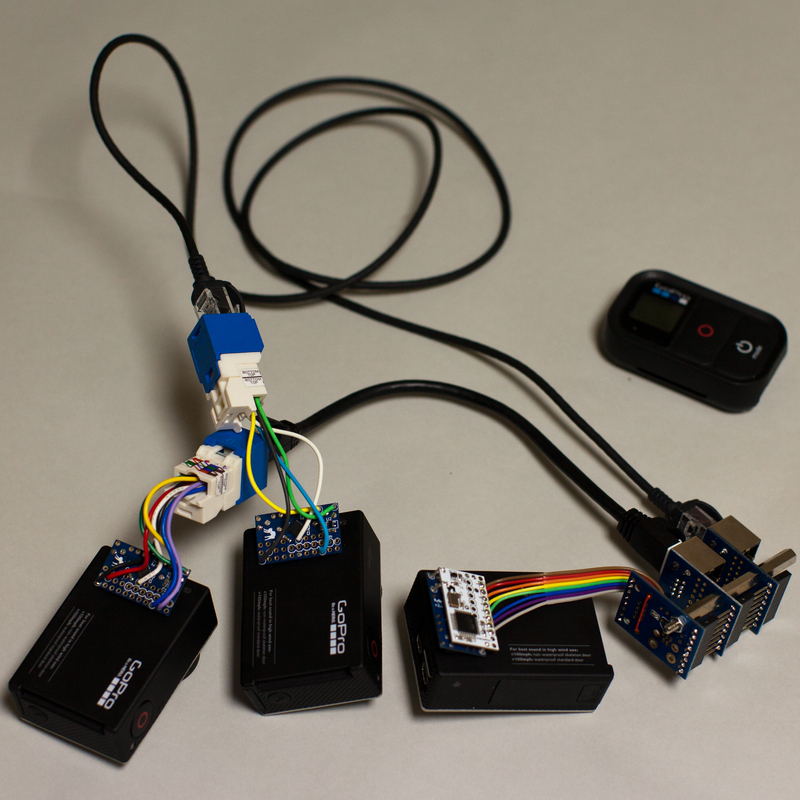 Master camera is without internal battery and powered by external 5V at the herobus connector. Master camera is without internal battery and powered by external 5V at the side USB connector. The above is our recommended way of connecting to the master. 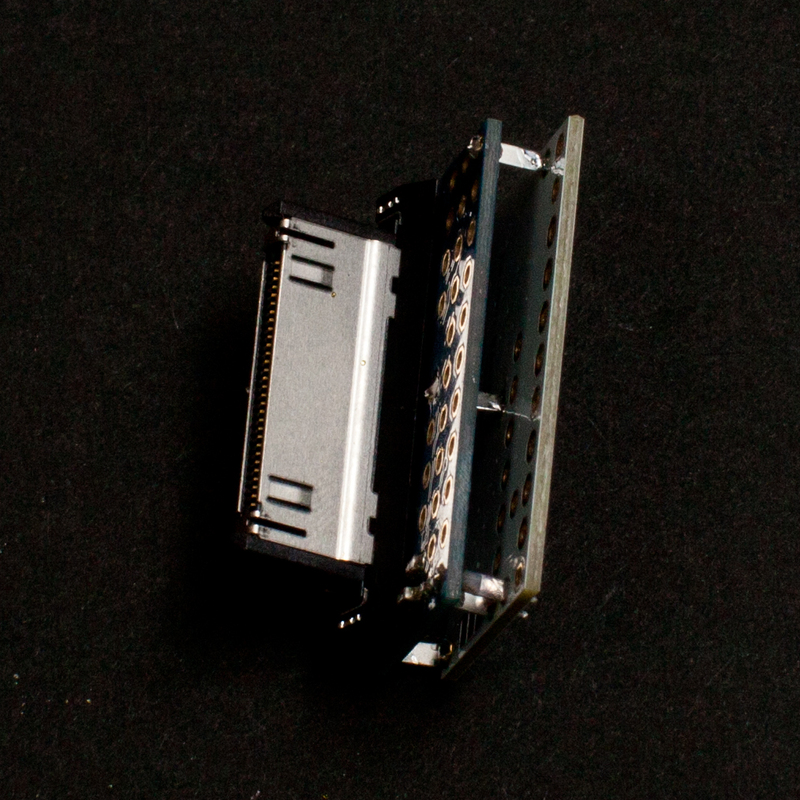 However, there might be cases that there are no room for Bastet board on top of MewPro 2 in your rig or cases of using MewPro Cable as a master. If your situation dosn’t allow placing Bastet on top of MewPro 2 board then please refer the following table and image. Note *: Bastet outputs regulated 3V3 for slave MewPros. If you like to power the master camera through the herobus connector please refer the following table and image. Note **: Never connect 5V to MewPro 2’s PWRSTBY. To do so will instantly ruin your camera. If you like to power the master camera through the side USB connector please refer the following table and image. Connections between Bastet and slave MewPro 2’s are the same to those between Iliad and MewPro 2’s (Note: In Iliad system all MewPro 2’s are slaves). You can use our Stackable Hub with Buffer or simply connect thru holes by wire or make something like a DIY octopus cable to connect Bastet and slaves. Moreover, Bastet’s thru holes for 6-core cable to slaves are aligned as the same to Iliad. Thus, please refer the Connection section of our blog post How To Use MewPro Iliad about wiring for slaves. a) It is necessary to push buttons of master camera SLOWLY. 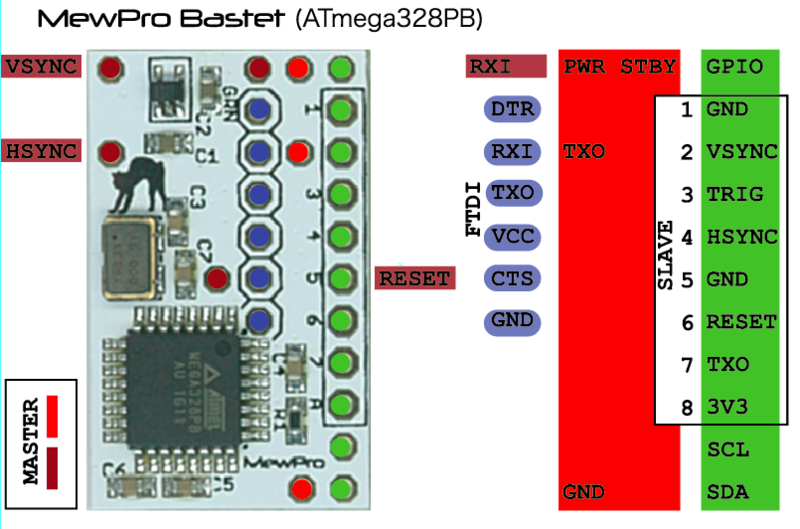 If there is not enough period between two button presses then the master camera fails to notify some events to Bastet through master MewPro 2 board. This is GoPro’s firmware limitation so don’t blame MewPro and Bastet. The failure can be resulted in video/photo mode inconsistency among cameras and, moreover, incompatible sync signals can make cameras freeze. And also, please WAIT 8 SECONDS AFTER POWER ON because camera booting up takes this long. b) Camera’s “low light” option is not usable with external sync. Thus, it is set to off by MewPro 2’s default, however, you can also accidentally enable the option. So always take care camera’s LCD is not showing you the “low light” icon. c) After assembling/connecting Bastet, MewPros, and cameras it is normal that the system becomes unstable. In order to overcome this situation Bastet resets all the MewPro 2 boards every time when it receives power off command from the master. [Step 2: Master OFF] Master camera’s power must be off at last. [Step 3: Master ON] After all the cameras are power off, power on the master camera by using its mode button or wifi RC. To do this also power on all the other cameras. [Step 4] If something strange happens then go to Step 1. 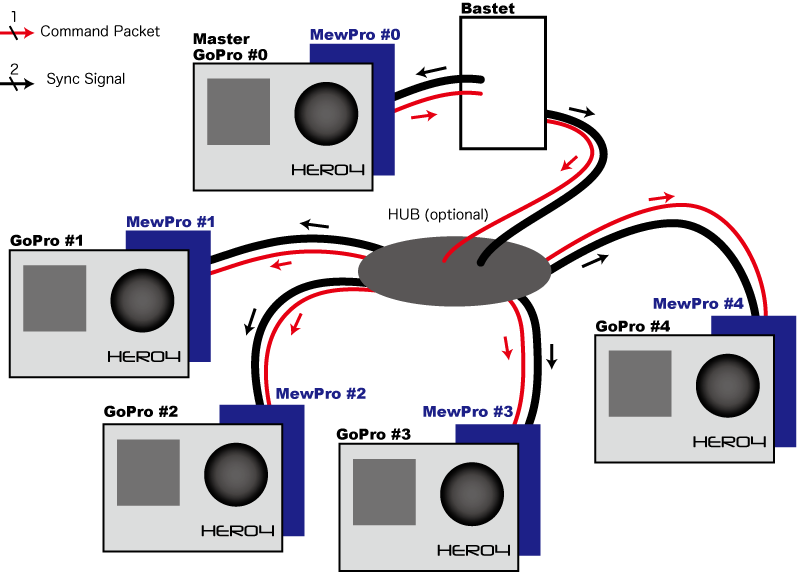 MewPro Bastet is a small device that enables us to control/genlock GoPro Hero 4 cameras. Unlike our monolithic MewPro Iliad, it simply listens broadcast by the master and provides sync signals for all of cameras while recording. 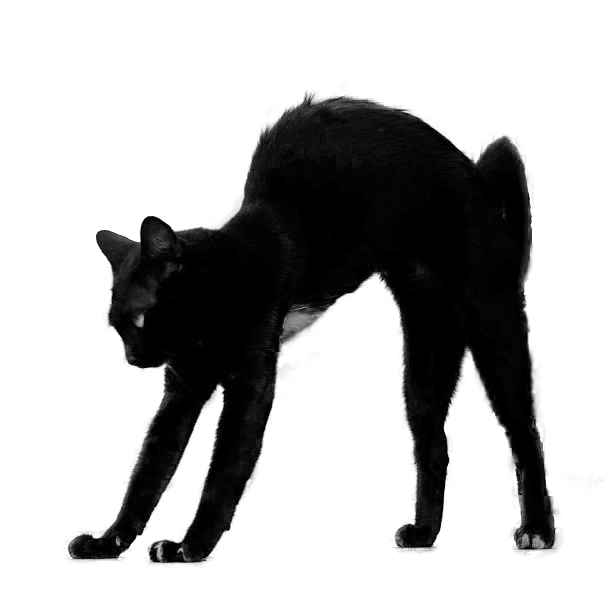 MewPro Bastet is ready to purchase in our shop, however, its product description is still under construction (I’m now editing it…). The white PCB is Bastet, the blue PCBs are MewPro 2s. In the photo above you’ll also find bulky RJ45 Ethernet receptacles or “Stackable Hub with Buffer”, however, these parts are not always necessary for syncing cameras in, for example, weight restricted environments such as shooting videos from the sky. In Fig. 1 the number of GoPro Hero 4 cameras is five for example. Of course, any number of cameras can be synced in this way. MewPro Bastet is put between the master camera (GoPro #0 in Fig. 1) and the slaves (GoPro #1, #2, #3, #4 in Fig. 1). It wiretaps the command packets that the master sends to the slaves. It understands all commands and changes its internal states accordingly. And once master’s shutter button is depressed then it begins to generate sync signals (VSYNC/HSYNC). In the diagram above “Hub (optional)” can be either solder joints of wires or our Stackable Hub with Buffer or some kind of DIY octopus cable or a strip board with 6 lines in parallel or something. We only offer a solution with Stackable Hub with Buffer but you can do it yourself in place of this in order to reduce the space. For your information the following is a brief comparison table between Iliad and Bastet. Note *: All the cameras are controlled by the master regardless of whether the change is made by using Wi-Fi or master camera’s button press. 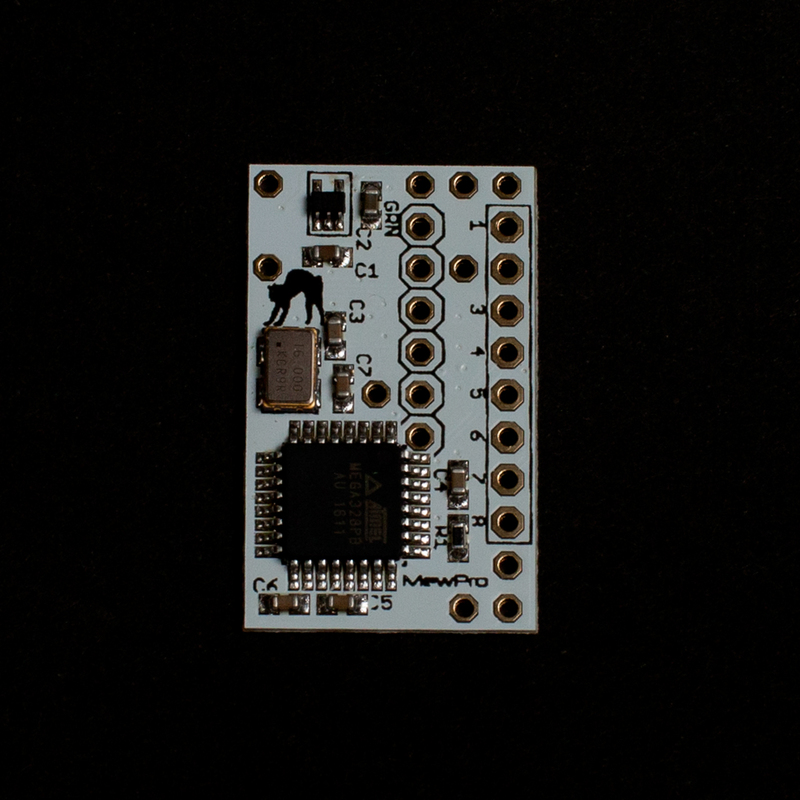 Note **: The MewPro 2 board attached to the master GoPro must have MewPro 4 firmware that is compiled with #define BASTET_MASTER compiler directive. 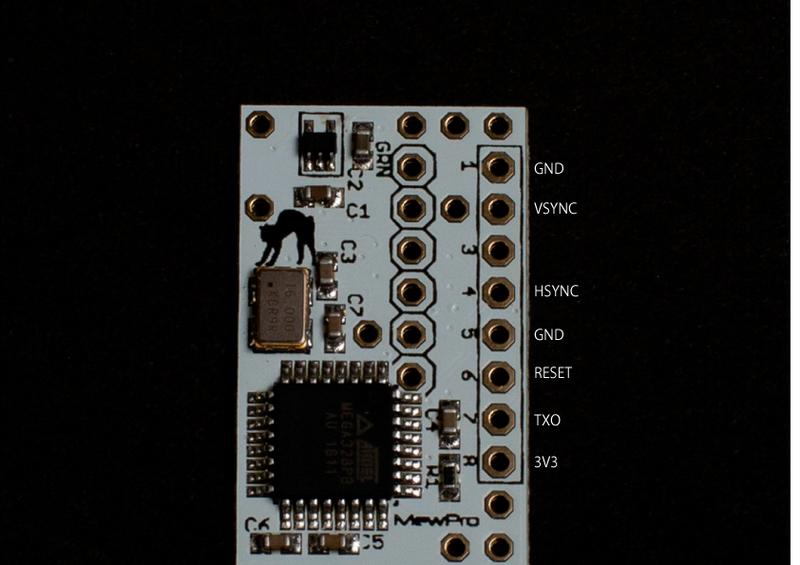 While other boards should have the default MewPro 4 firmware. 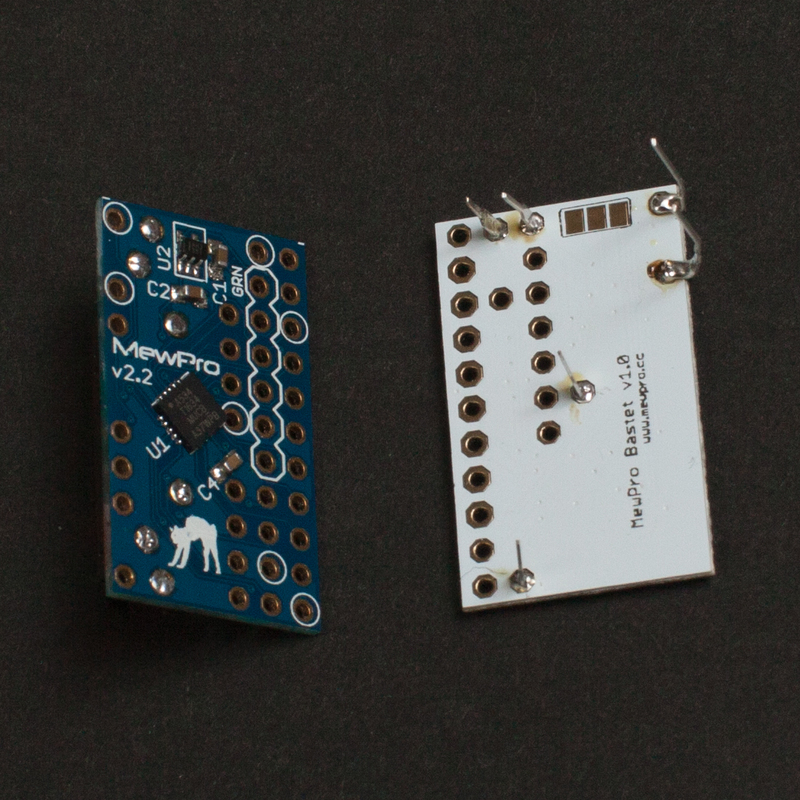 In the next blog post we’ll explain how to connect wires between Bastet and each MewPro boards. 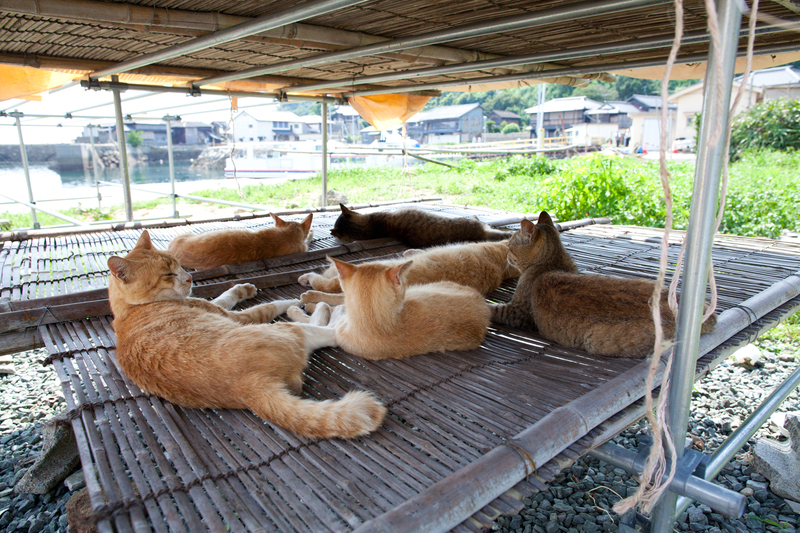 MewPro is a trademark registered in the Japan Patent Office.